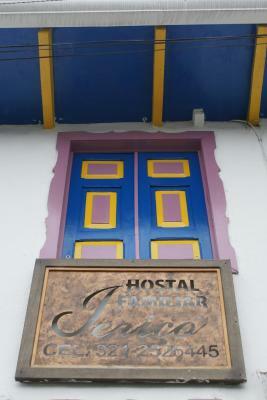 Lock in a great price for Hostal Familiar Jerico – rated 9.7 by recent guests! Marta was one of the nicest and most helpful hosts I have ever experienced. 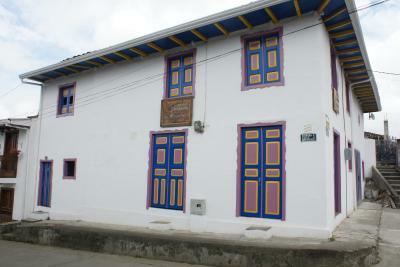 The hostel is in a great location and everything is clean and tidy. This is a tiny hostel - two guest rooms in a local family's home. 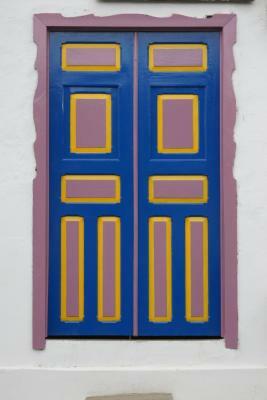 The hosts speak minimal English, but were very patient with our basic Spanish. They accommodated our middle-of-the-night arrival and drew us a detailed map of the Cocora Valley with its hiking paths and attractions. We had full access to the kitchen and a private bathroom (located outside the room, which did not bother us). 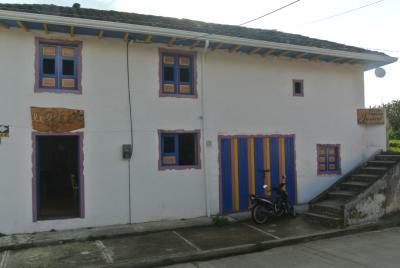 The owners were extremely kind and hospitable people. They welcomed with me with open arms and were always available to answer questions, and they were very accommodating in every way. 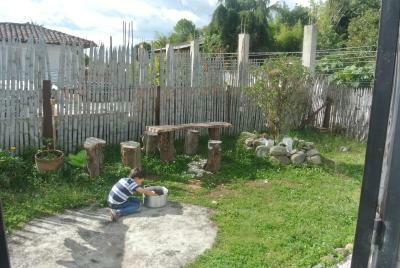 Marta helped explain in detail all activities that I could do in Salento, which was very helpful. It was also great chatting with them. I was allowed to use their kitchen without any problem. My bed was very comfortable, and the shower was great. 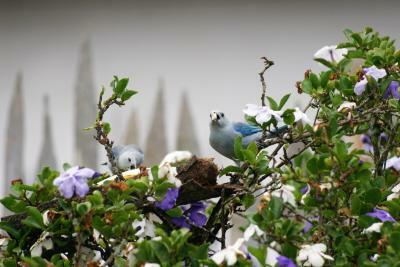 Even though breakfast wasn't included, they did provide bread, fruits, and tea, which was very nice of them. I would definitely stay there again. The host and hostess were delightful and supremely helpful. We loved our time here in Salento. 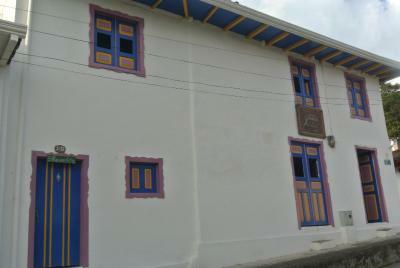 Close to the main street, very helpful family working and the coffee with panela each morning was so delicious. The hosts of this hostal are very enthusastic and helpful who gave me a lot of information for the trip. The owners were very nice and helpful. They gave us the information we needed. It was like a home away from home. Everything was perfect, especially the hosts. Make sure you have the avo bread breakfast downstairs in the cafe! The hosts were so nice and gave me the information I needed to make the most of my stay. I hope to return! 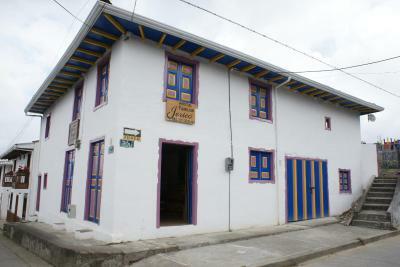 Set in Salento, 16 mi from Santa Rosa de Cabal, Hostal Familiar Jerico features free WiFi access. Certain units include a seating area to relax in after a busy day. Some rooms have views of the mountain or city. All rooms include a private bathroom. A TV is provided. 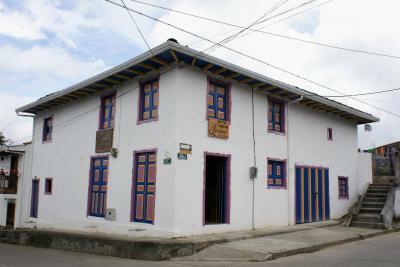 Pereira is 15 mi from Hostal Familiar Jerico, while Ibagué is 26 mi away. Matecaña International Airport is 17 mi from the property. 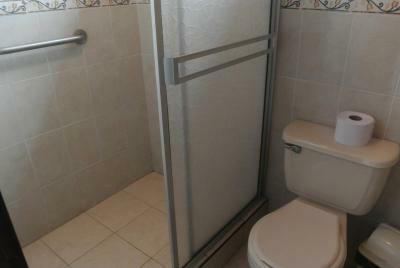 뀐 Located in the top-rated area in Salento, this property has an excellent location score of 9.8! 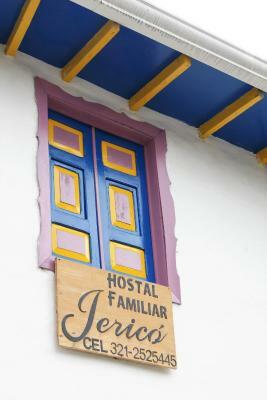 When would you like to stay at Hostal Familiar Jerico? This family room has a private entrance, seating area and patio. This double room has a private entrance, seating area and patio. 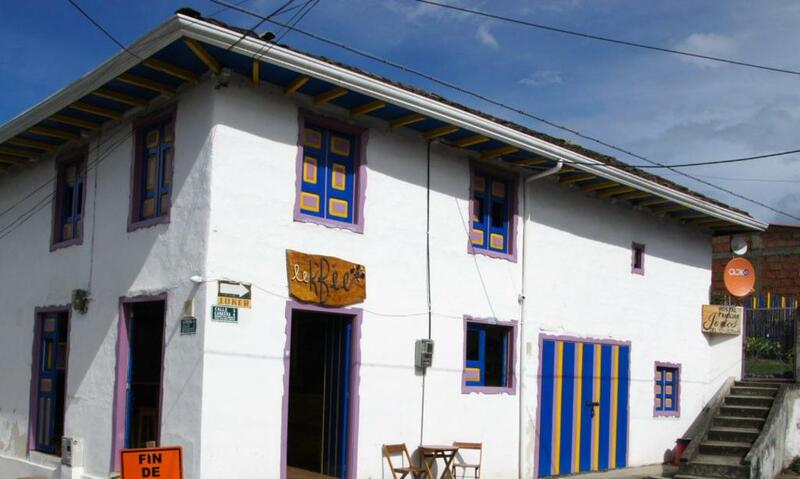 House Rules Hostal Familiar Jerico takes special requests – add in the next step! One child under 16 years is charged COP 25000 per night when using existing beds. 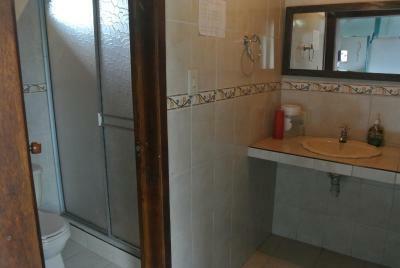 Please note that all bathrooms are external due to the characteristic architecture of the property. Please note that late check in is available upon request. Please notify the property. The family was super friendly and helpful with all our questions. Bed was also very comfortable and room reasonably priced. I liked the family, coffees and breads. Most of all, she told us good sites, routes to visit in and near the town very understandably and provided map with hand-written comments. There is a poker place in the street that plays loud music. Also you can hear the music from the restaurant under the hostal. 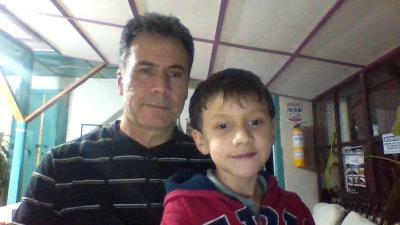 But both are quiet around 00:00 hours so not really a problem. This place is great! Near the plaza and the busstation. Martha Lucia, the host is super sweet and helpfull. Because of her friendlyness I felt directly at home. In the morning she makes you tea, coffee or hot chocolate with a piece of bread and fruit. When I was there I had the big room with 5 beds for myself! Really great place. Nothing, really. We were looking for something friendly and comfortable and this was exactly that. It's simple, so not the choice if you're looking for 5* luxury, but a really lovely little place. Marta Lucia and her family are so incredibly warm and welcoming, and it really felt like someone's home rather than just any old hotel. The place was clean and well located for the town, but best of all was the effort Marta Lucia went to to give tips on various tours and restaurants. When we left it felt like leaving our own family! 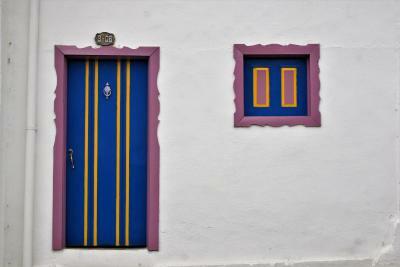 Don’t expect anything fancy in Salento, all the local places for sleeping are simple and traditional. Our host was amazing, can’t complain about anything! They were super friendly! They gave us a map and explained everything we asked them and more (restaurants, Valle de Cocora, coffee tours, ...) they made us coffee and always wanted to help. Nothing, it was a great. The hosts are fantastic and helped us scope out our activities for Salento. The beds were comfortable and the bedding was amazing. Hot showers were amazing after getting soaked in the palm tree valley. The bedroom is a bit small. Cozy apartment, right near the center of Salento. The family is super friendly and helpful (ask them anything, they’ll get you and answer), the apartment is clean, the shower has hot water,... Nothing more you could want! Distance between our own private bathroom and our room was farther than we initially expected but really was not an issue - especially when you appreciate the architecture of a Spanish colonial-era home and the advent of the “modern bathroom/plumbing needs”. Great hosts. Very informative about the town and the neighborhood! We had great stay.